Taipei, Taiwan (24 November 2017) – G.SKILL International Enterprise Co., Ltd., the world’s leading manufacturer of extreme performance memory and gaming peripherals, is thrilled to announce new ultra-low latency additions to the Trident Z RGB series memory kits, starting from DDR4-4000MHz CL17-17-17-37 up to DDR4-4266MHz CL17-18-18-38 32GB (4x8GB). This is the first time in tech history that DDR4 memory kits above DDR4-4000MHz speed is available at the low CL17 timing, and with lower timings, memory kits can utilize high frequency to its fullest potential with improved memory performance. To achieve the ultra-low latency of CL17, these new memory kits are made with rigorously hand-binned, high-performance Samsung B-die DDR4 IC components. As the leading manufacturer of extreme performance memory, G.SKILL is always improving and reaching higher levels of performance than ever before. 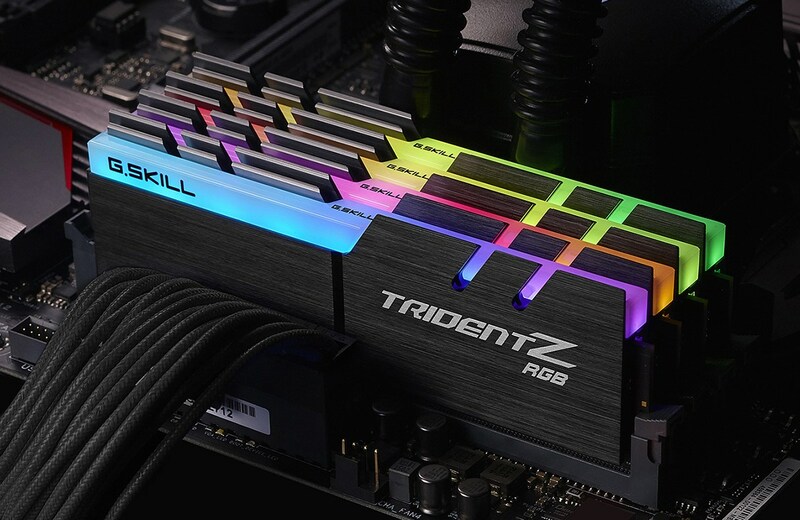 The fastest selection from the new Trident Z RGB lineup is available at DDR4-4266MHz CL17-18-18-38 32GB (4x8GB) at 1.45V. 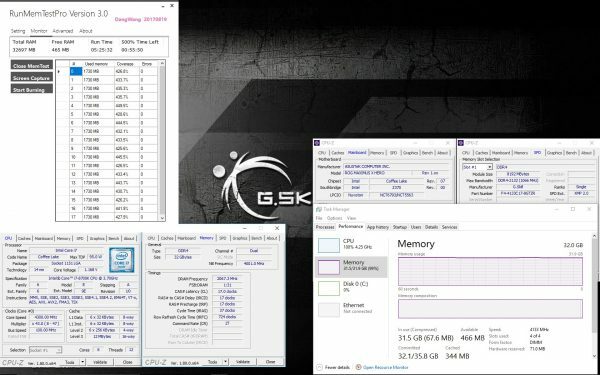 The following screenshot shows this new memory kit running on the ASUS ROG MAXIMUS X HERO motherboard with the Intel® Core™ i7-8700K processor. Following the DDR4-4266MHz kit, are memory kits running at DDR4-4000MHz and DDR4-4133MHz in both 16GB (2x8GB) and 32GB (4x8GB) configurations, all at an ultra-efficient CL17-17-17-37 timing. 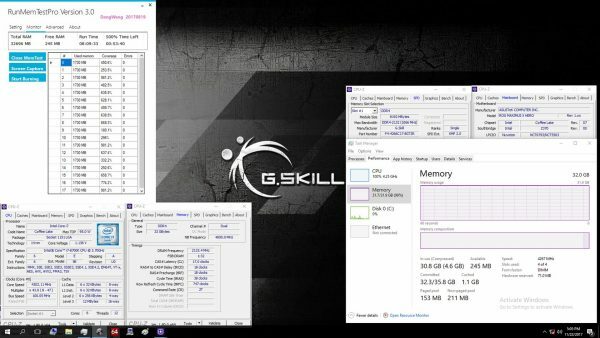 Below is a screenshot of Trident Z RGB running at DDR4-4133MHz CL17-17-17-37 32GB (4x8GB) on the ASUS ROG MAXIMUS X HERO motherboard with the Intel® Core™ i7-8700K processor. These high performance memory kits are outfitted with the latest Intel XMP 2.0 technology for easy memory overclocking. For a full list of available specifications and configurations, see the chart below for the full lineup that will join the G.SKILL Trident Z RGB family. These awesome new low latency Trident Z RGB memory kits will be available from authorized G.SKILL distribution partners starting in January 2018. Nächste Pressemitteilung Wavemaster TWO Neo: Die Evolution eines Klassikers!